How to back up google code? Recently we received many requests to cancel the google authentication verification due to stolen phone or reset phone. Here we want to share with you the measure of backing up your google authenticator data. 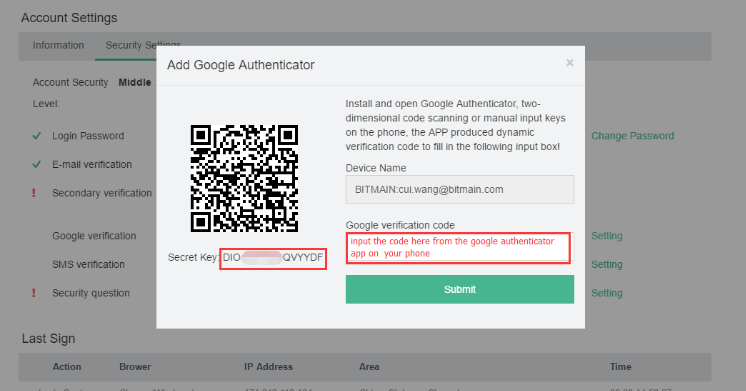 When you set up google authentication verification, below step will be required. What you need to back up is the secret key and the QR code for future recovery. What services does HashNest provide? How to start cloud mining on HashNest? How to calculate the earnings ? What is 2FA? How to set 2FA? Will S7 hashrate be upgraded to S9 hashrate? How to withdraw on Hashnest APP?